When a baby is fed from breastmilk, the child is eating what mom is eating. While there isn’t a definite list of what is or what is not acceptable to eat or drink, some foods are more likely to upset your baby’s stomach than others. A lot depends on how sensitive your child’s tummy is to different types of food. However, there are acidic foods to avoid when breastfeeding if you want to minimize the chances of your baby getting heartburn, becoming cranky or getting gassy. Although rich in vitamin C, citrus fruits are very acidic so they can easily irritate the sensitive tummies of babies. Because their immature digestive systems cannot breakdown the components of food like adults, it can cause a baby to spit up, have a tummy ache or suffer diaper rash. Instead of lemons, grapefruit and oranges, consider other foods high in vitamin C like strawberries, mango or papaya. Coffee is a lot more acidic than you would expect. That combined with its high caffeine content makes it one of the acidic foods to avoid when breastfeeding. 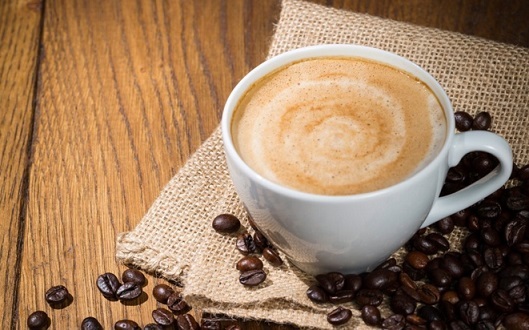 It is inevitable that some of the caffeine will make it into your breastmilk. Since babies cannot process caffeine like you do, it can cause them to have an upset stomach and experience crankiness. It can also negatively affect your breastmilk by lowering the iron levels found in it. 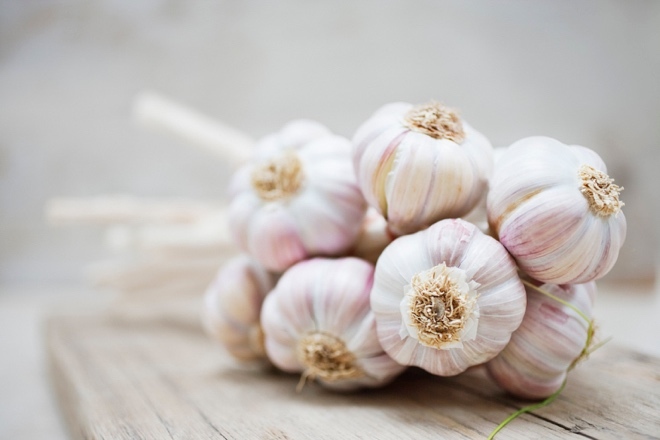 Research has found a direct link between garlic and the onset of acid reflux symptoms. While it does not occur in everyone who suffers from the condition, it happens often enough that there is a relationship between the acidity of the herb and sensitive stomachs. When you eat garlic, its effects can be passed on to your baby through your breastmilk. While some infants may not mind it, others will become fussy and irritated. You will be able to tell fairly quickly if your baby likes it or not. 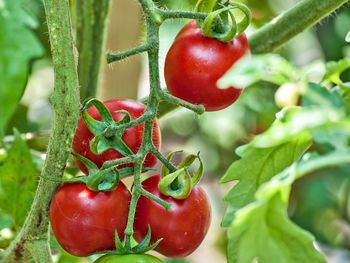 Tomatoes are rich in so many nutrients that are so good for you and your baby. However, they are also very acidic. Fresh or cooked, the acidity comes through in the dishes you eat and on to your baby through your breastmilk. Take care in paying attention to your child’s mood after breastfeeding when you’ve been eating tomatoes. If your baby has a tummy ache, a diaper rash or is fussy after you consume tomatoes products, you may have to cut them out of your diet. Spicy foods can be a rough on a baby’s tummy, even if they travel through your system first and then travel through your breastmilk. They can cause a chemical reaction that irritate stomach linings, the digestive tract and may even cause diarrhea. Spicy foods include things like red peppers, chili powder, jalapenos, horseradish, hot peppers, tabasco sauce, cinnamon and black pepper. About any carbonated beverage is acidic and filled with tiny air bubbles that cause gas to accumulate in babies’ tiny stomachs. 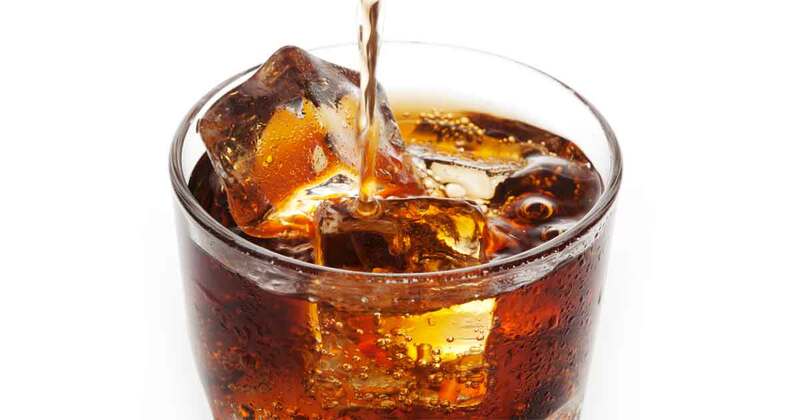 If it is soda, it is full of caffeine as well. The combination of these elements makes carbonated beverages acidic foods to avoid when breastfeeding so you can have a happy baby free of tummy aches. Milk is an alkaline-forming food, which is fine and something that your body needs, but depending on how your body processes it, it can cause colic in your baby when passed through your breastmilk. Since milk is calcium-rich and full of vitamins, it is beneficial in many ways. The best thing to do is see how your child reacts when you drink it before you consider eliminating it from your diet. 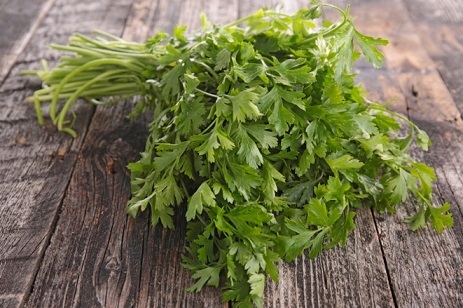 Parsley and peppermint are great herbs to add to a dish for flavor, but they can both mess with your breastmilk production. If you find that your supply is running dry or you are expecting your baby to have a growth spurt soon, use these garnishes sparingly. Many babies are born with gluten intolerance. Symptoms include bloody stools, an upset stomach, fussiness and colic-like symptoms. If you are eating foods containing wheat, just like acidic foods to avoid when breastfeeding, you should avoid these as well. They pass through breastmilk like anything else you consume. While fiber-rich foods are great at keeping your digestive system on track, they can cause havoc in your baby’s stomach. Some can leave you gassier than others, such as prunes, pears, apricots, broccoli, onions, cabbage and cauliflower. If you find your little one is miserable when you eat one of these foods, eliminate it from your diet and see if it helps. Eating peanuts as an adult aren’t a big deal unless you have a peanut allergy, but introducing them too early to your baby may be dangerous. Keeping this in mind, the allergenic components in nuts can be passed through breastmilk, so you should avoid eating peanuts until you have stopped breastfeeding completely. If you forget and do breastfeed after eating nuts, look out for signs of a rash, hives or difficulty breathing in your baby. How Often Should I Feel Fetal Movement at 22 Weeks?